This volume was awarded a Silver medal in the Governor's Heritage Award for local heritage projects in 2012. 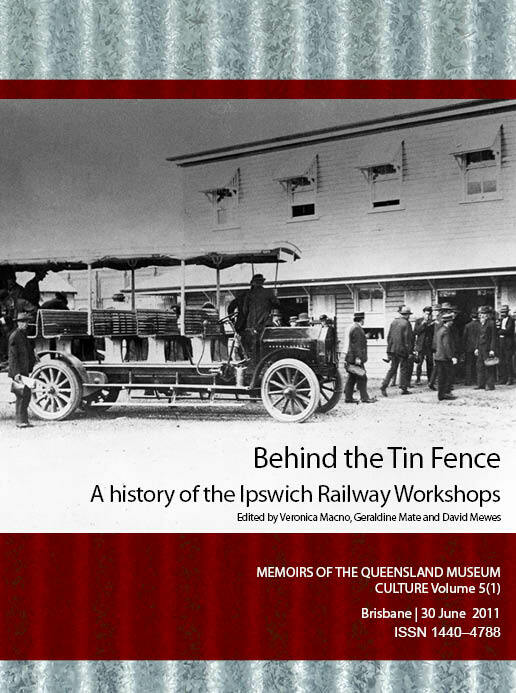 Behind the Tin Fence is available in print from either, the Ipswich Railway Workshop shop or from Queensland Museum Southbank shop. Blake, T., Buchanan, R. & Mewes, D.
Buchanan, R. & Macno, V.
Mate, G. & Moritz, A.